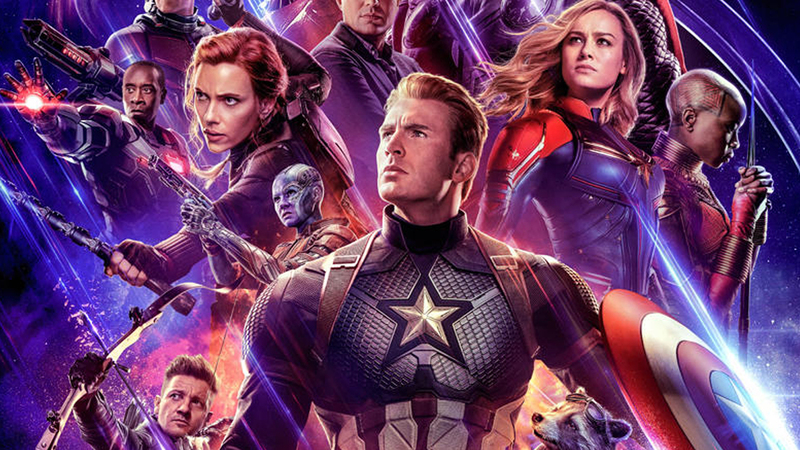 And that is still quite a bit, when you see the remaining Avengers and Guardians assembled at last for their final battle against Thanos in the newest trailer for Avengers: Endgame: Captain America, Thor, Iron Man, Hawkeye, Bruce Banner, Black Widow, War Machine, Rocket, Nebula and new recruit Captain Marvel are all in attendance (plus, Ant-Man and Dr. Strange are still in play somewhere). The overall tone of the new trailer is dour like the rest, but at least the heroes are acting like heroes again and there are some scenes that show the action taking place against the backdrop of a relatively normal looking daytime sky, which is something we haven’t seen in previous trailers. There are more confusing costume changes and hair styles, lending further credence to the rumor that time travel plays a big part in the plot. The big reveal of this trailer is Tony’s new MK LXXXV, (Mk. 85) armor, 35 generations more advanced than his Mk. 50 armor in Infinity War and with a sleeker, more classic red-and-gold look. There’s also a blink-and-you’ll-miss-it shot of Thanos seemingly defeated, but who knows where, when or if that scene even takes place.